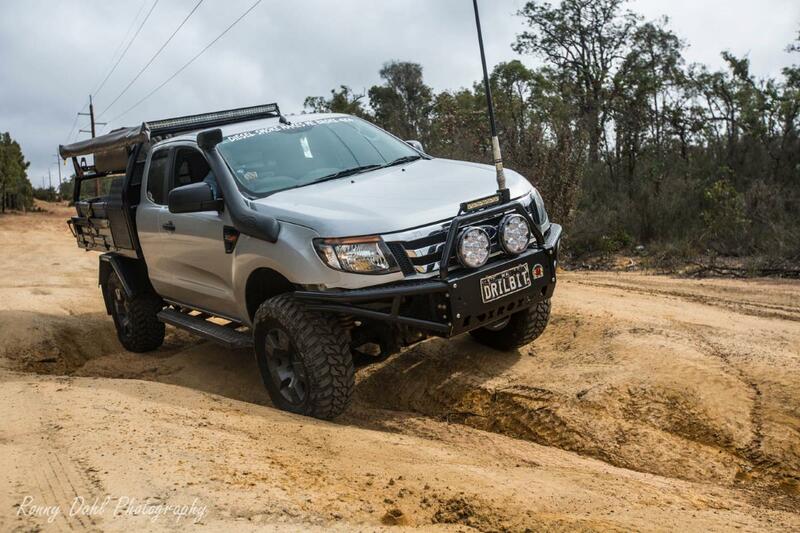 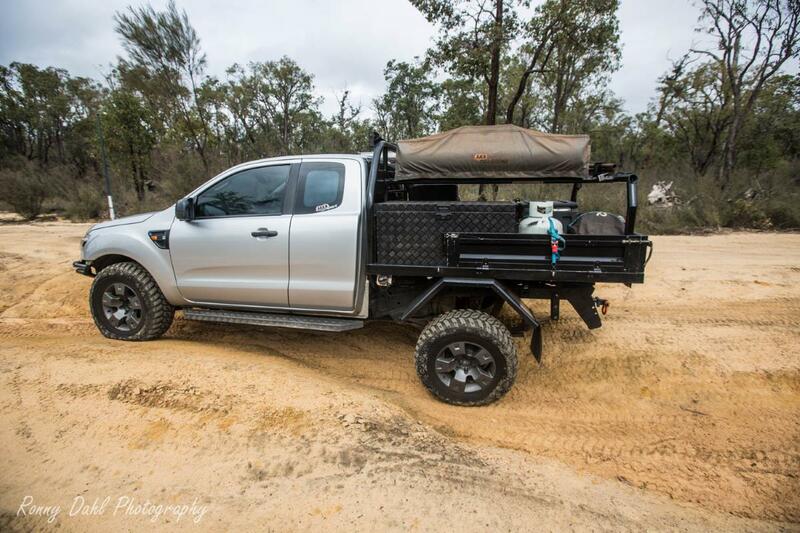 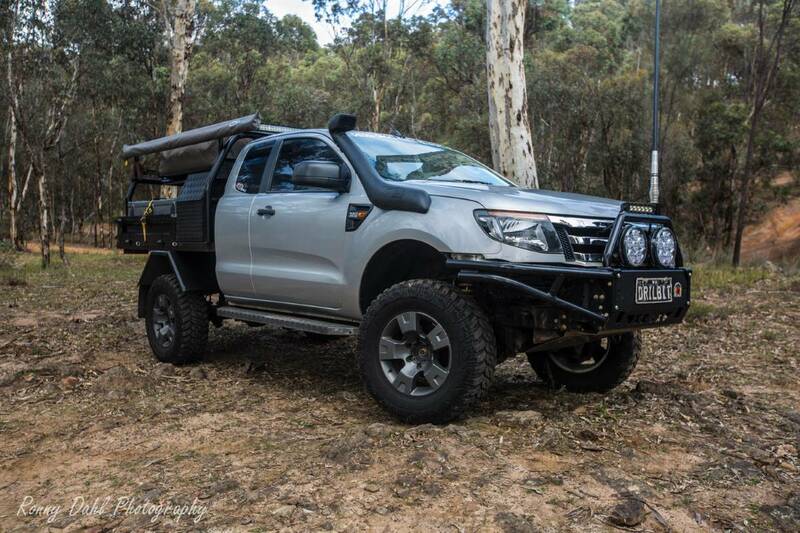 This Ford Ranger PX is the second Ranger featured on modified to date, although they are both Ford-Ranger’s this one is setup very different and the main feature on this PX Ranger is the custom rear tray which Dylan (the owner) has modified more than 3 times, adding those extra bits and bobs and improving other mods at the same time. 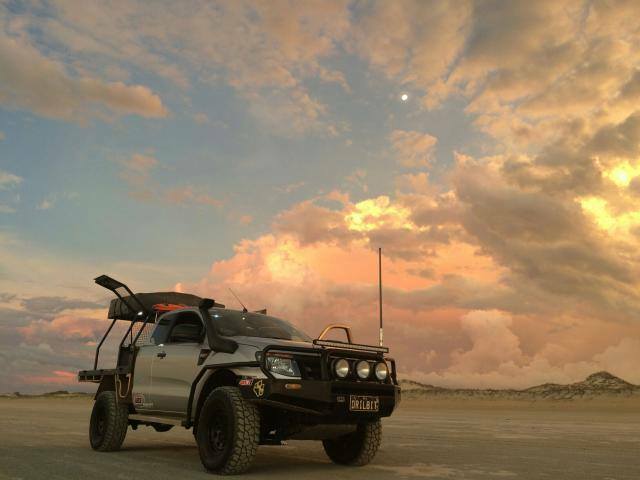 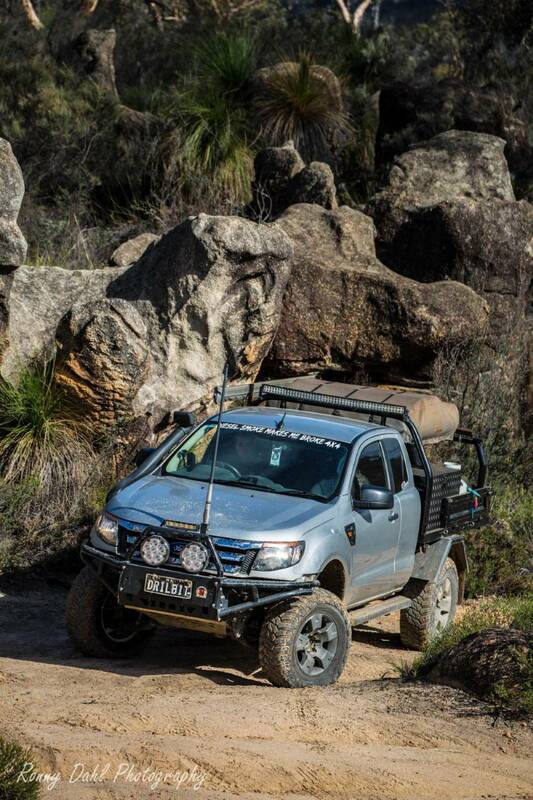 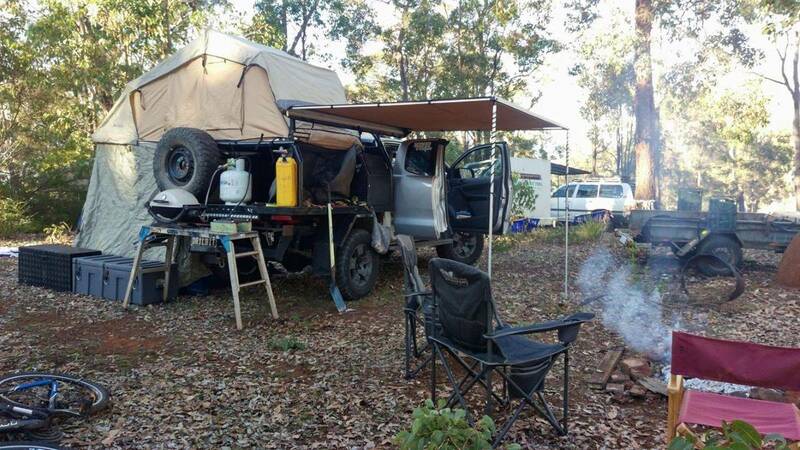 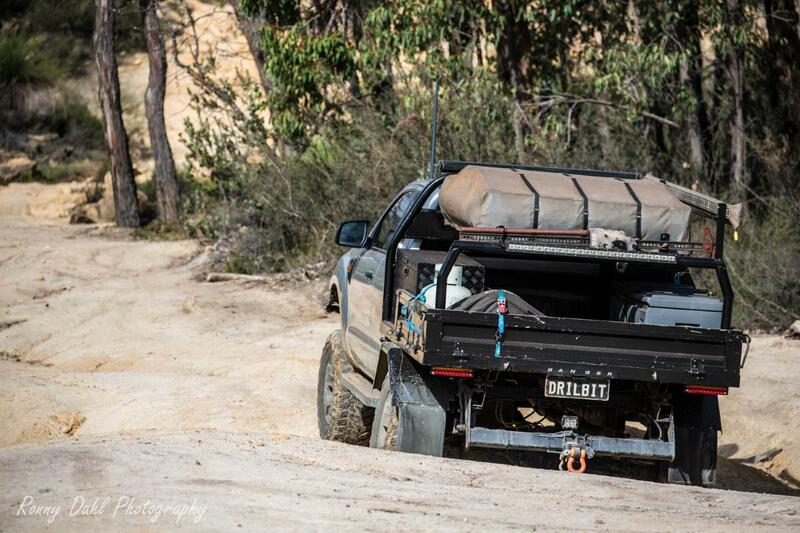 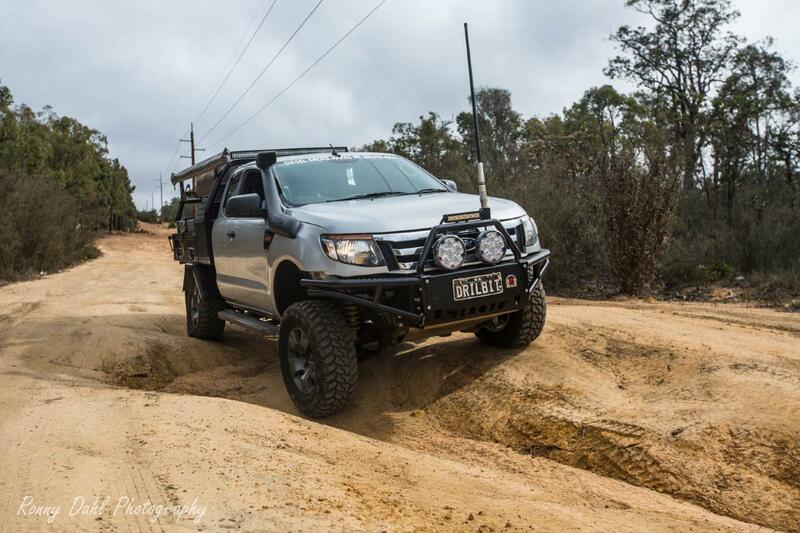 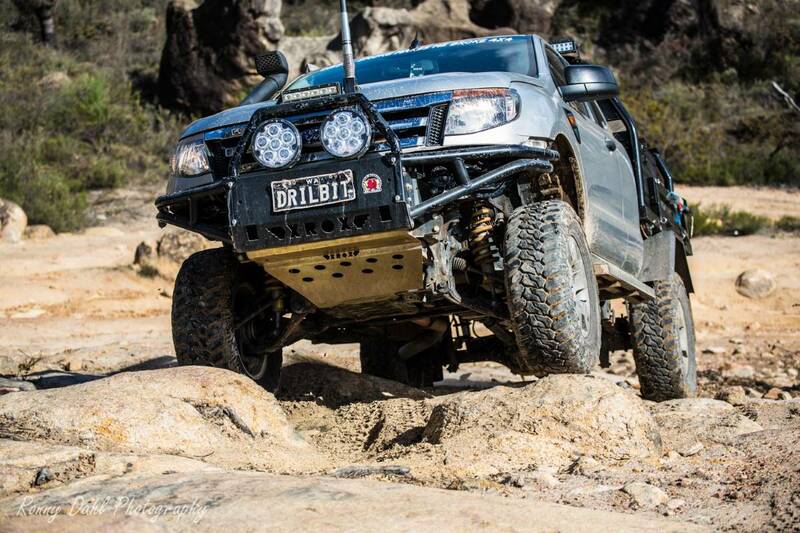 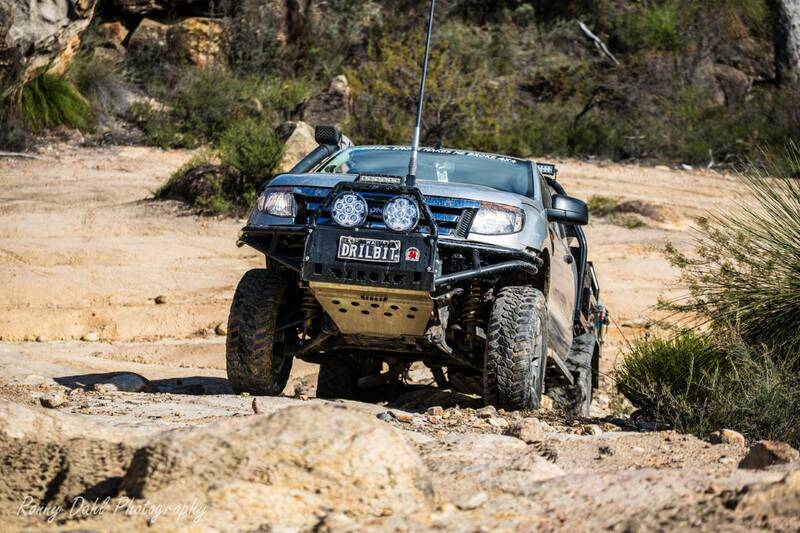 Dylan used to own a 79 series Landcruiser and says he is happier in the 4x4 PX Ranger, one of his main reasons was the fuel consumption and comfort. 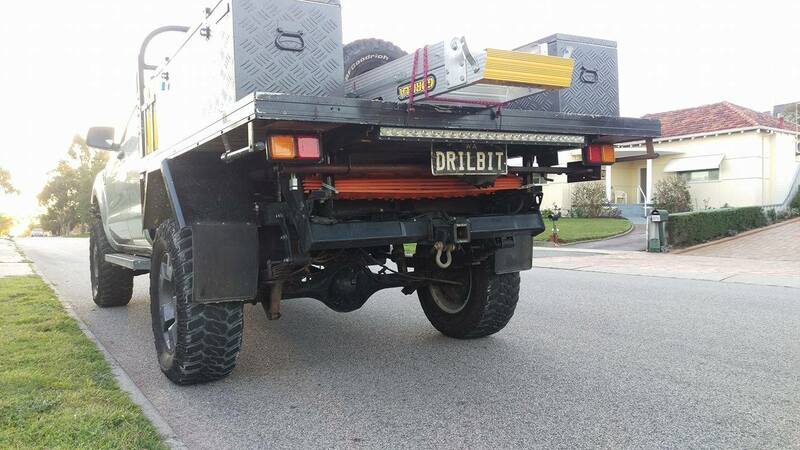 Custom tray with custom toolbox housing air compressor and light switches for the tray. 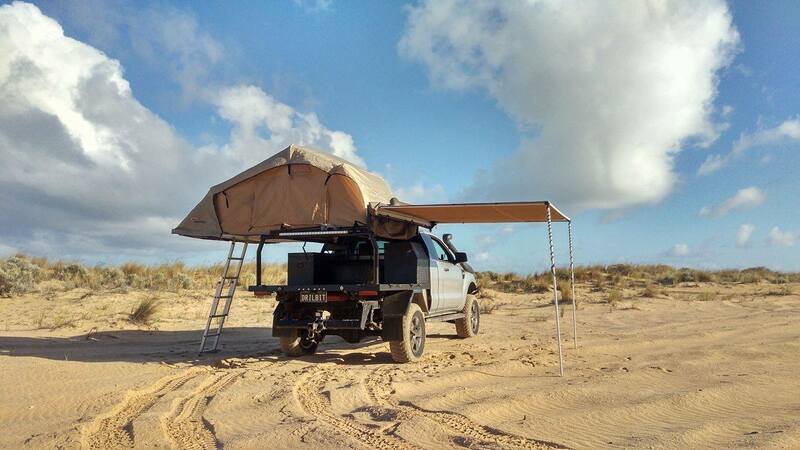 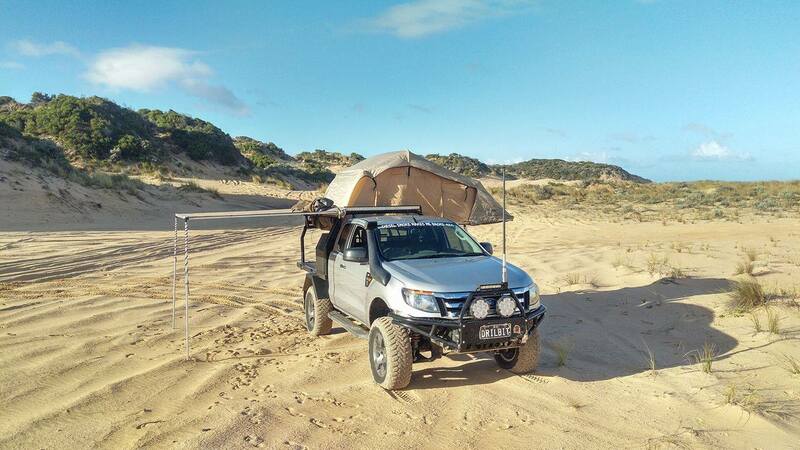 Custom tent and awning rack. 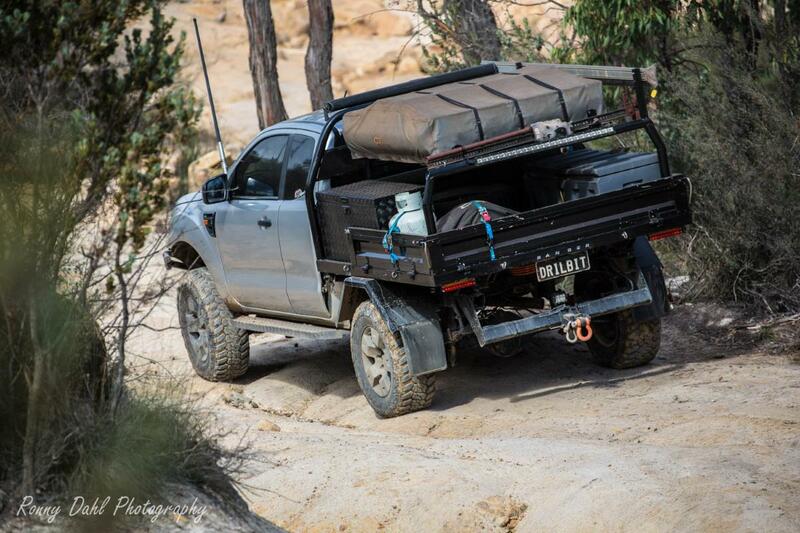 Rear rack also holds the high lift jack. 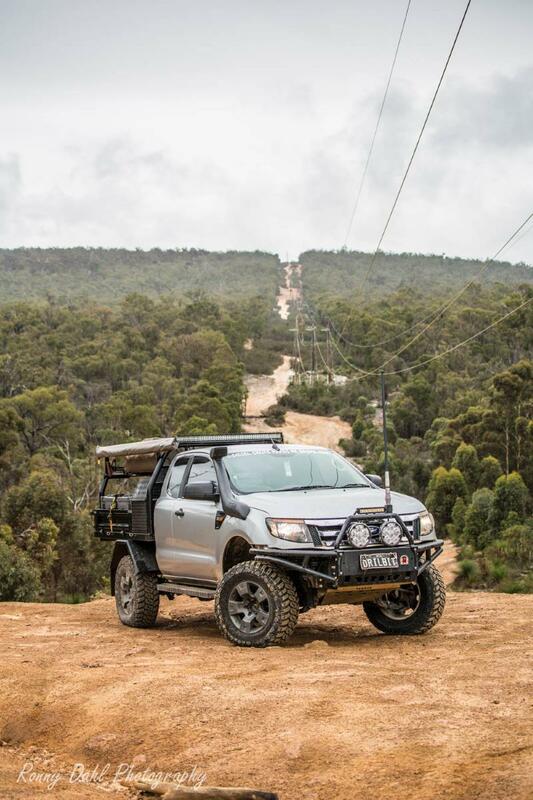 Making it to the top of Callcup Hill. 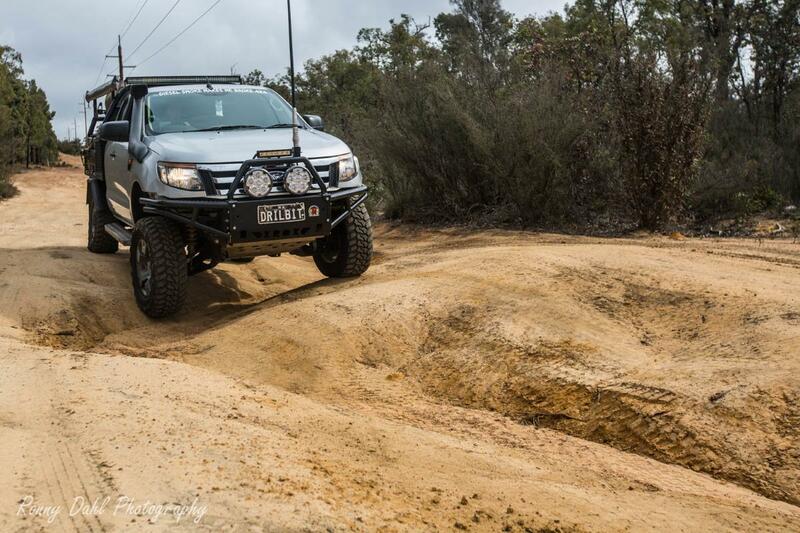 If you’ve fitted a bulbar you will need a snorkel as the air intake becomes exposed to sand, dirt and water. 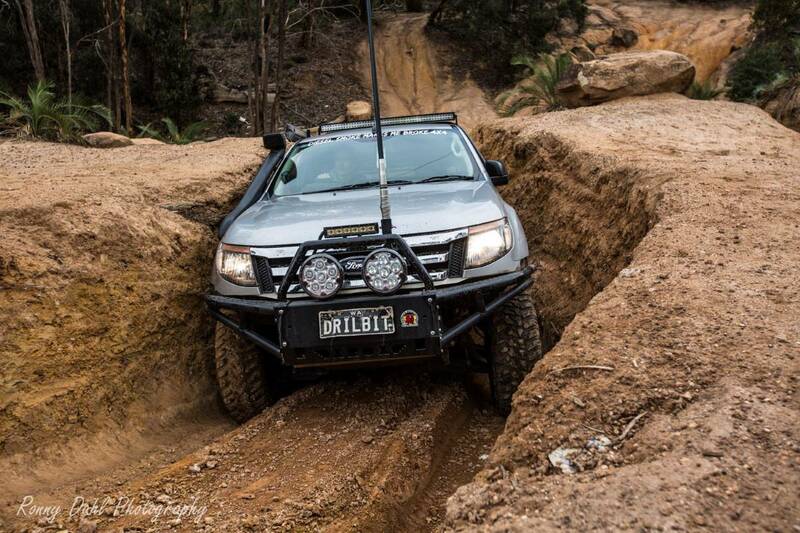 Front output shaft is prone to leaking. 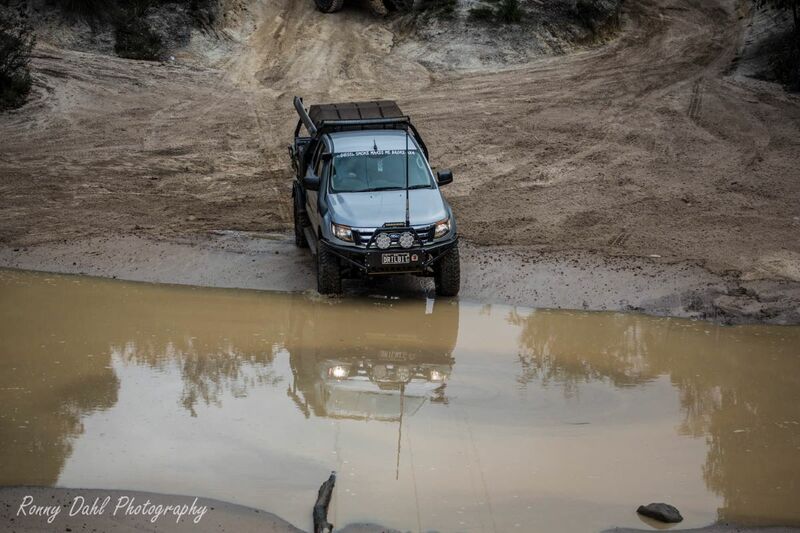 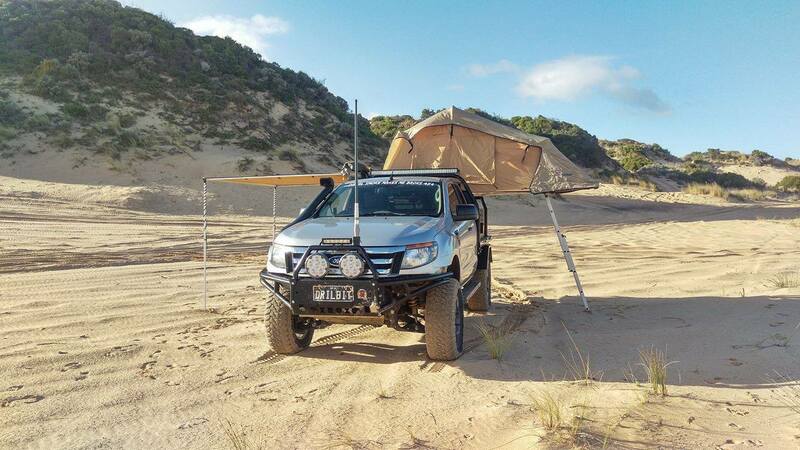 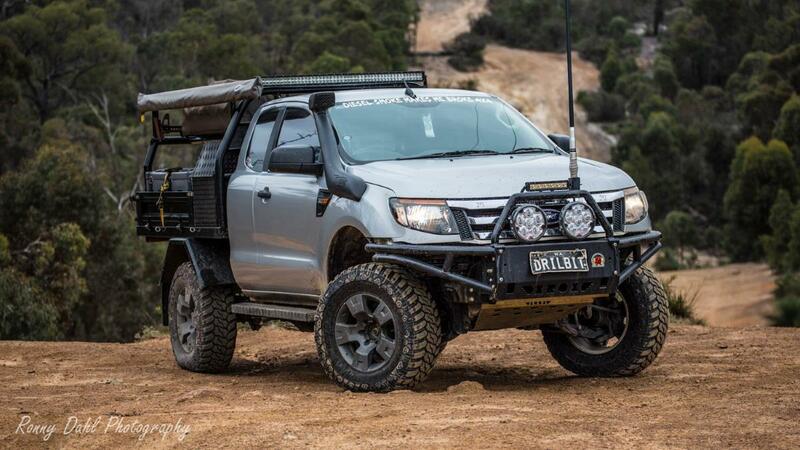 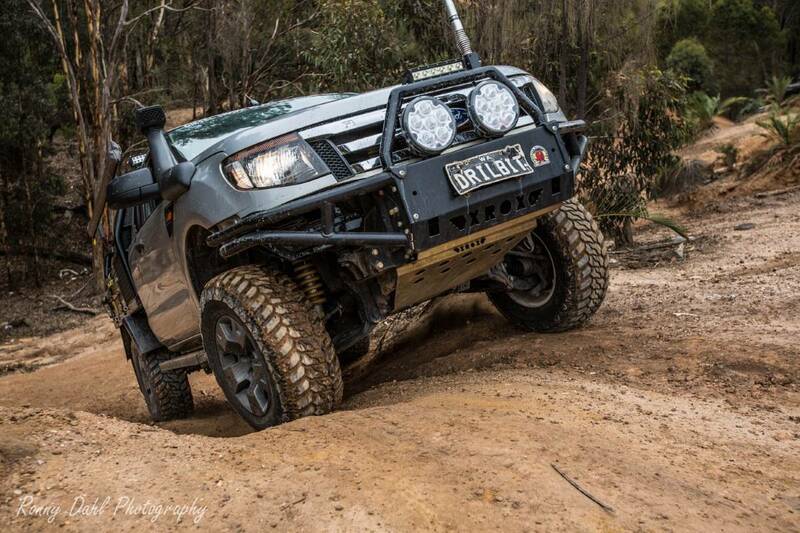 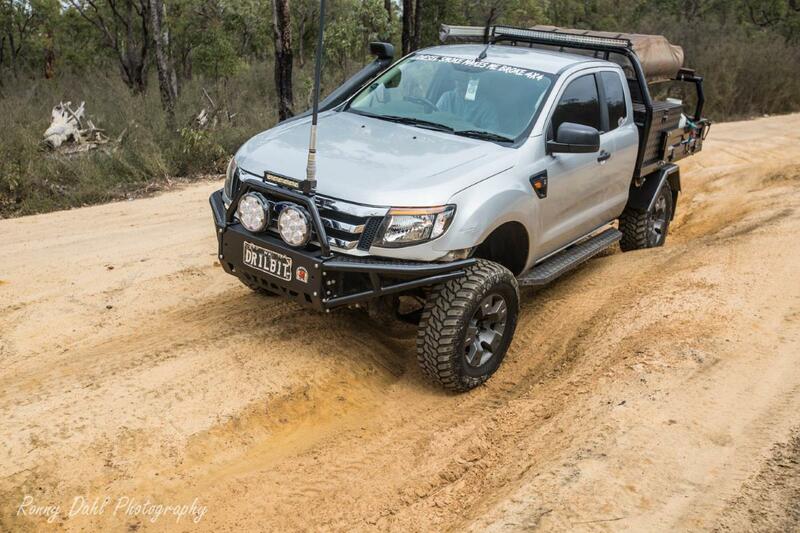 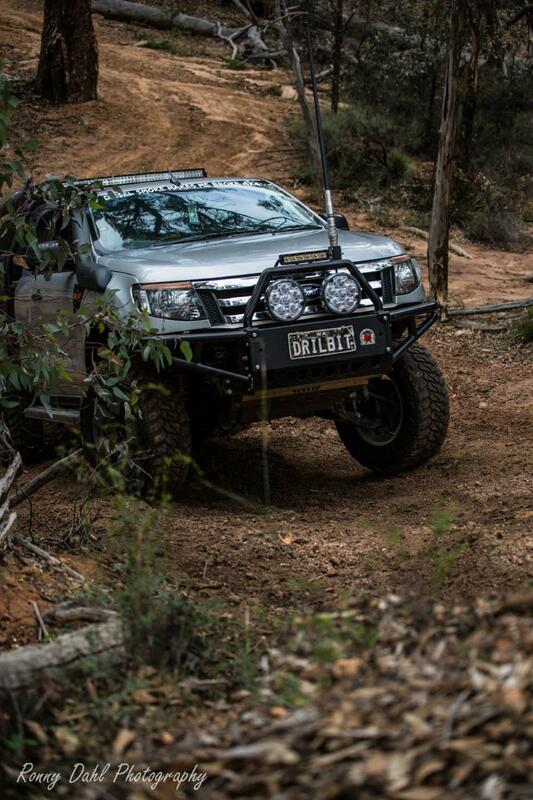 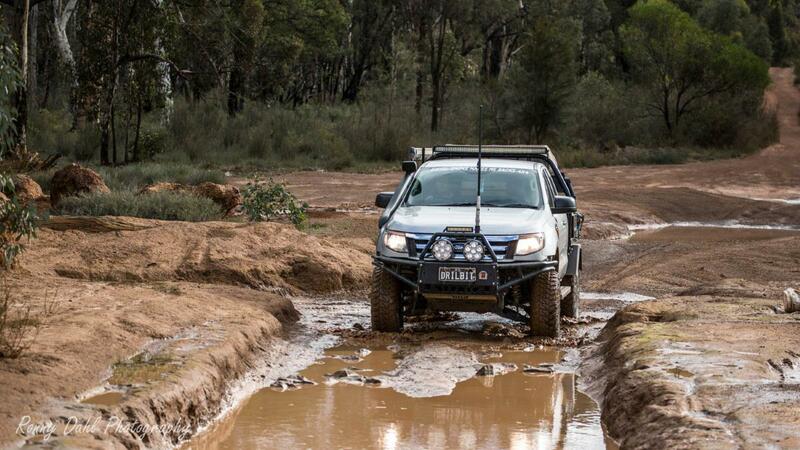 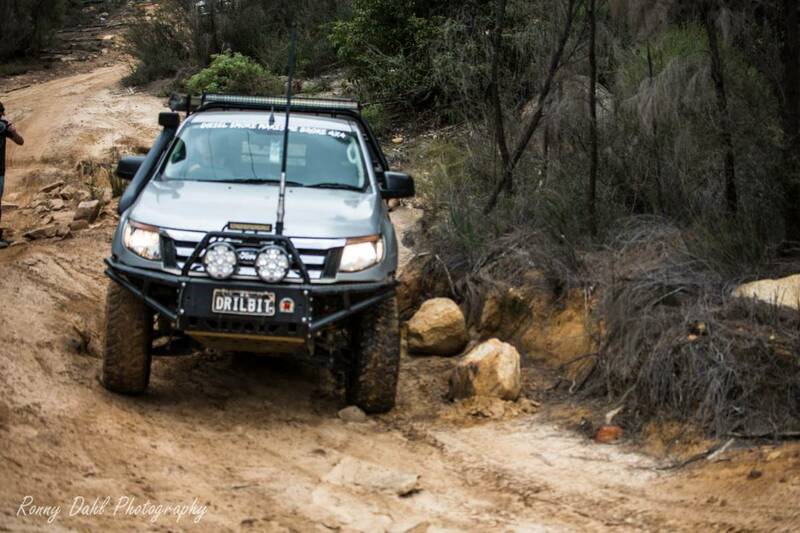 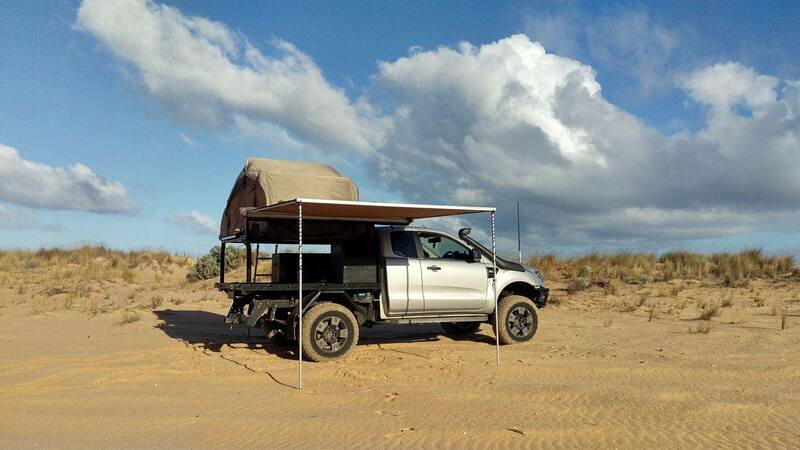 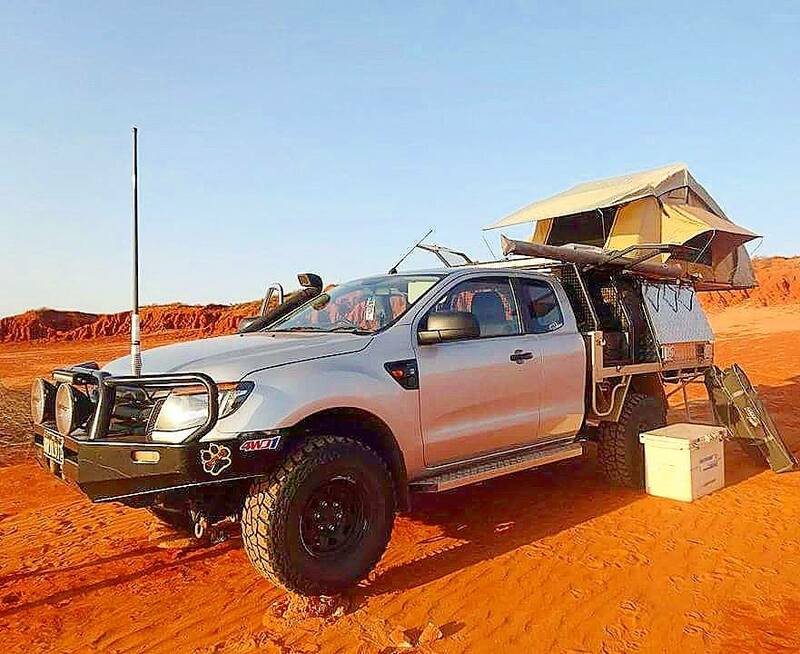 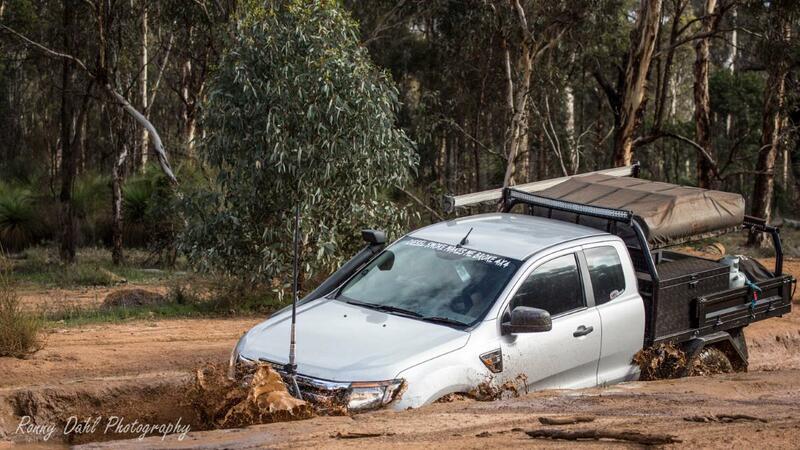 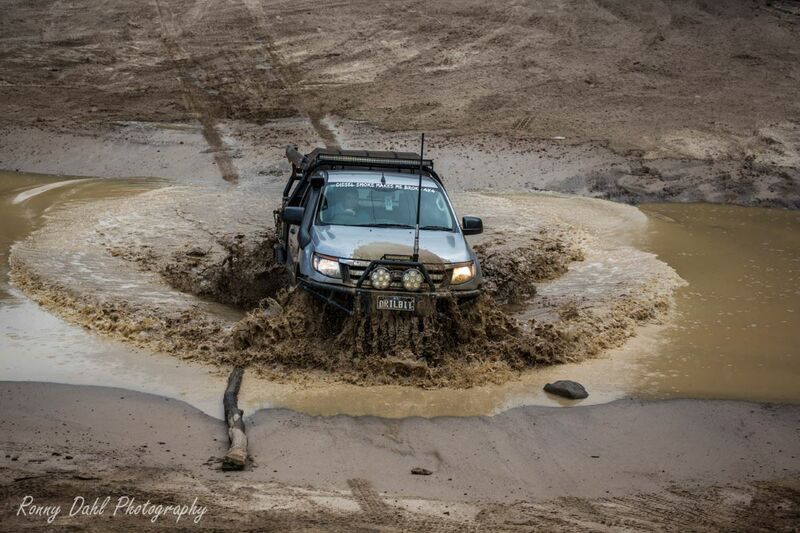 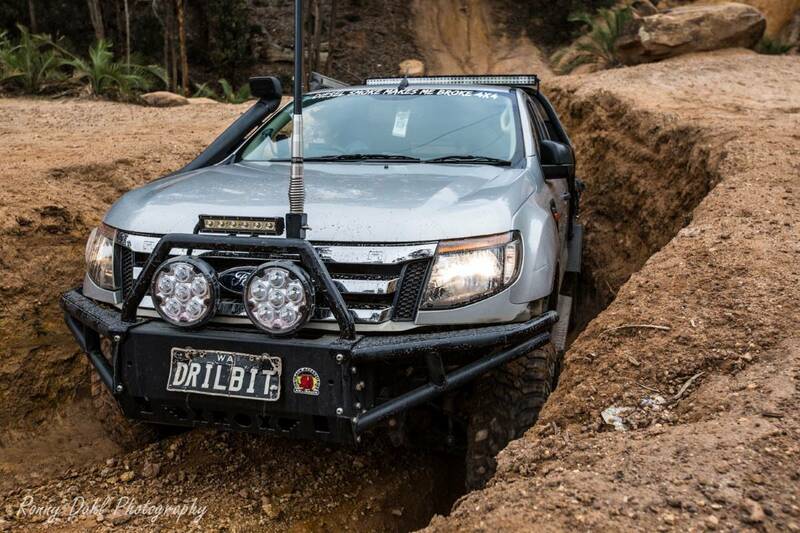 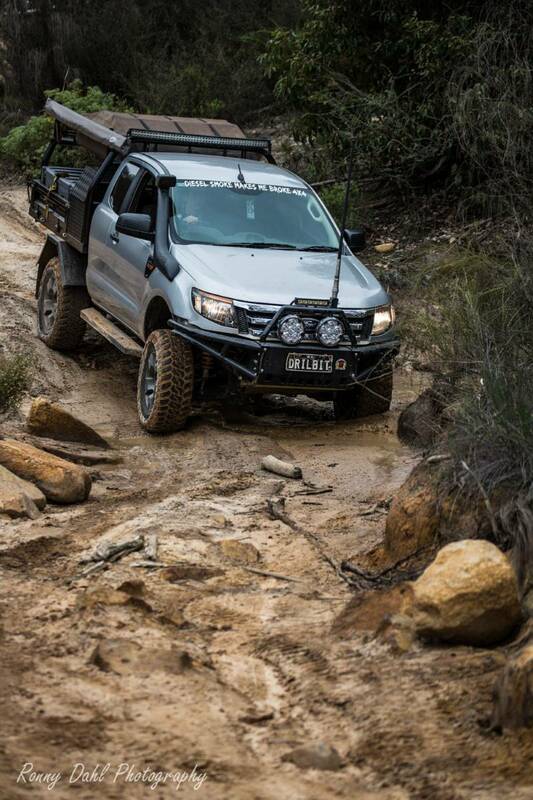 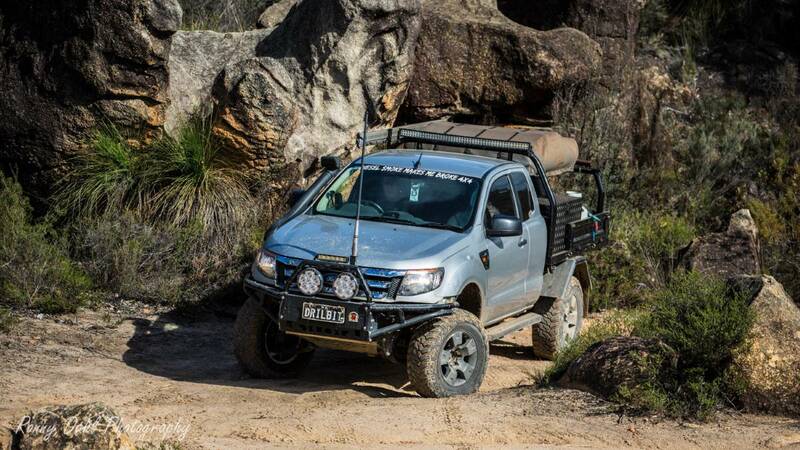 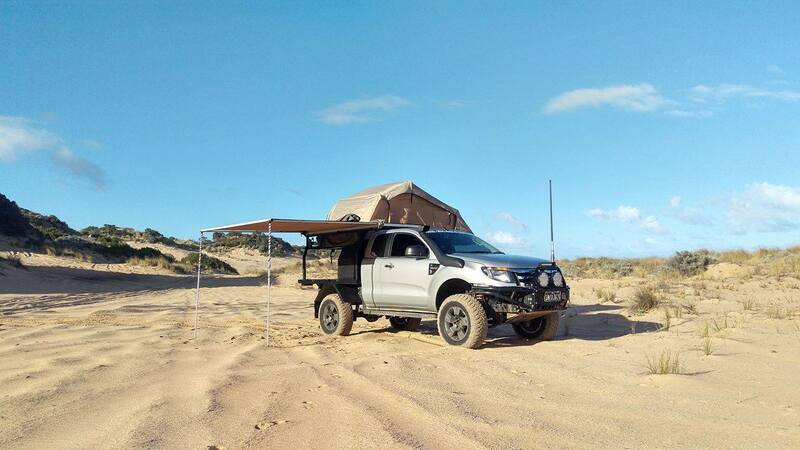 Leave Ford Ranger And Go 4 Wheeling In Western Australia.